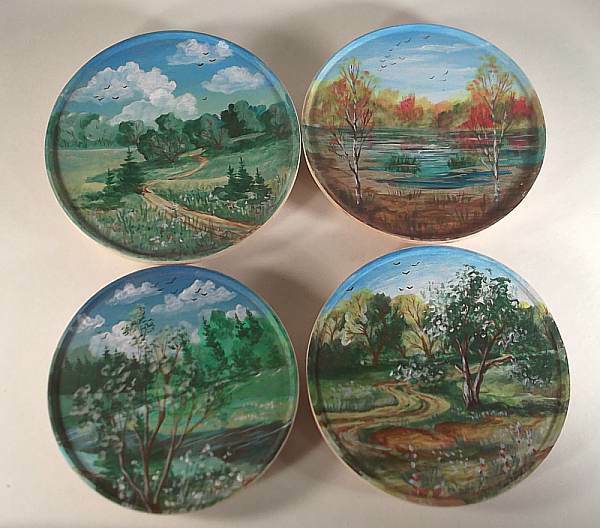 Lovely little set of coasters with four different landscape scenes painted on each. Each one is signed by the artist, where it was done and the year. The coasters are not varnished, so you have to be a little careful what you put on them. (Or varnish them yourself). One of the coaster is just a little bit smaller than the others.